These Huawei smartphones are perfect starter phones for kids and adults who are looking for their first smartphone and don’t want to be locked-in to two or three year contracts. 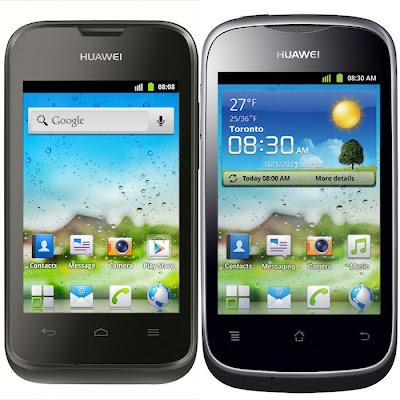 These Huawei smartphones priced at $80 help graduate to an Android smartphone with all the apps and features. I am glad I will be hosting a giveaway so you can win one of the phones before school starts. This Huawei Y210 Ascend with the 3.5" touchscreen has innovative technology, and reliable hardware. It features Android 2.3 operating system, 1 GHz processor and data speed up to 7.2 Mbps. This sleek, stylish phone gives access to over 700,000 Google Apps that is available through the Play Store. This phone is exclusively available at Wal-Mart on the TELUS network. The Huawei Y201 Ascend with a 3.5" touchscreen, a 3.2MP camera, Android 2.3 operating system, 800 MHz processor and 256 MB onboard memory will allow us to use over 700,000 apps from the Play Store. This phone is available on the Bell network through Virgin Mobile and its retail locations and counters in Wal-Mart, Loblaws, Visions, Best Buy and Future Shop. 2 people from Canada will have a chance to win either the Huawei Y210 Ascend or Huawei Y201 Ascend before August 20th by entering the giveaway through the rafflecopter below. To win please follow all my social media networks and leave comments. The winners will have 48 hours from the time of contact to respond if they want the prize. I'm from Ontario, I currently have an iPhone 3 that I want to replace so thank you so much for the giveaway! Ontario. I have a blackberry that really needs to be replaced. This looks like a great phone! i live in BritISH COLUMBIA, AND i would use the smart phone. I really need a new phone! I live in ON, I would give it to my mother who has a really crappy blackberry. I'm in Ontario. Don't have a smart phone but DH does. I'd use it if I in. I am in NB. I have a BB and an Android that are both on their last legs so I would be using this if I won! I'm in Ontario. I currently own a smartphone, but I would probably keep it for myself. I'm from BC. I don't own a smartphone, just an old cheapie. If I won I'd keep it for myself. Ontario, no smartphone at our house, but I would use it! I live in Alberta. I don't have a smart phone and if I won I would keep it for myself. I own a dumb phone, so the phone will likely go to me. This Ontarian owns a dumb phone, so the phone will likely go to me. I live in Ontario and currently do not have a cell phone. If I was lucky enough to win, I would keep this for myself. I live in BC and I would use this for myself! I just turned 50 and have never owned a cell phone before! This would really be a treat! I live in BC, and I have a smartphone. I'd give this to my Mom if I win because her phone is 100 years old! BC Canada. My husband has a smart phone and I use his phone when I have a chance. I would like to win one so I can use it for myself. I am in Ontario .. I don't have a smartphone and if I won, I would use it! I live in SK, Don't own a smart phone. I would use it! I like in Ontario. I don't have a smartphone so I'd get to use it! I live in Ontario. I don't have a SmartPhone but really need one. I would totally be the one to use it. BC, I have an iPhone but hubby is in need of a new phone! I am in Newfoundland. I have an iPhone 4. I'd like to win this for my oldest son who is 12 so we can easily contact each other in emergencies or when he needs a ride. I am in ON, no smartphone at all, I would use it if win. I'm in BC and I don't have a smartphone. If i won, I would give this to my nephew, who's entering highschool in the fall and could use a cellphone. I'm in BC and I don't have a smartphone. 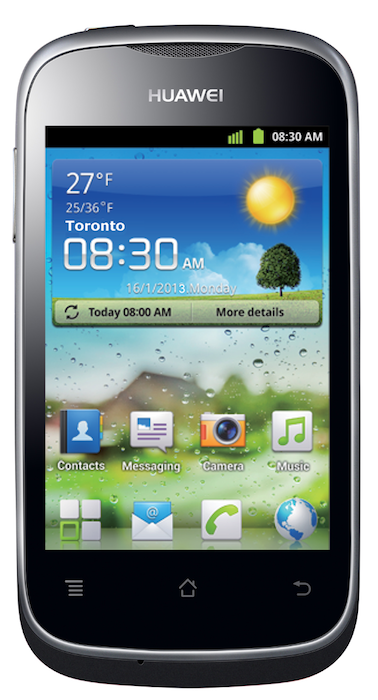 If I won this phone, I would give it to my nephew who's starting highschool in the fall and could use a cellphone. I'm in BC. I do not have a smartphone so I would use this myself if I win. I live in Ontario, and no, I don't own smartphone, so I would use it! I'm from Vancouver Island! I have an Xperia X10 and I would use the phone to replace my failing one and keep in contact with my kids, family, friends and work! I am from Vancouver Island! Yes I have a smartphone, an Xperia X10 and I would replace it with the Huawei to keep in contact with my kids, family, friends and work! I don't own a smartphone/mobile plan. My daughter would be using this if I won. Ontario. I have a smart phone. If I won, I'd give it to my mom who doesn't have a cell phone. If I won, I'd give it to my mother who has never had a cell phone. I live in Ontario. I have an iPhone and I would give this phone to one of my nieces....my girls aren't old enough to have a cell phone. Ontario. I have an HTC. My daughters would use this phone. I'm in Ontario. 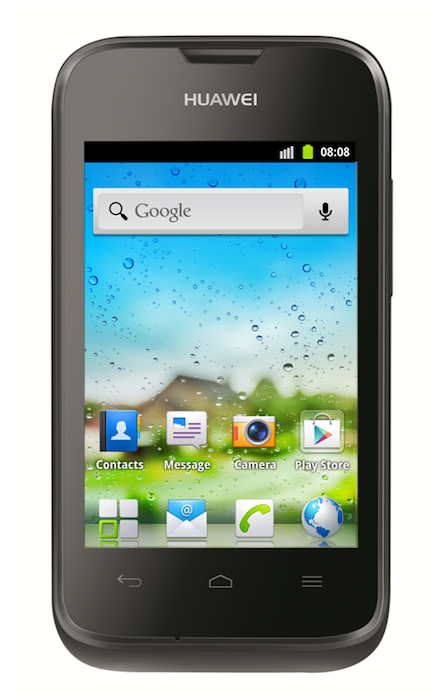 I don't have a smartphone and I have been looking for a reasonably price one for a long time. I am in Ontario and do not own a Smartphone. I would use it! I live in Ontario. I don't have a smartphone at the moment so I would use it!